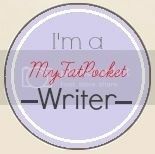 A Thing (or Two) About Holly Jean: Bed Jump With Me & Win A Sony Camera! 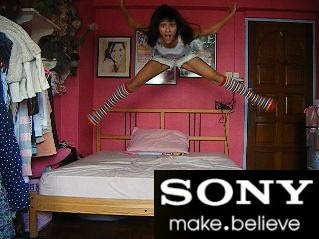 Bed Jump With Me & Win A Sony Camera! 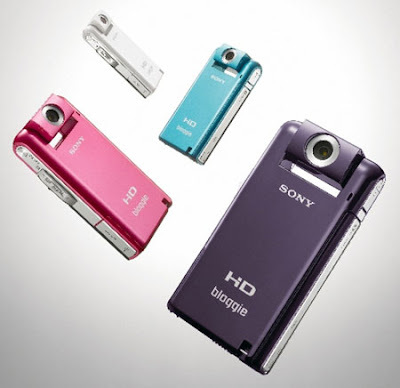 SONY is giving away a HD Bloggie camera! So I was thinking... what fun contest can I come up with? 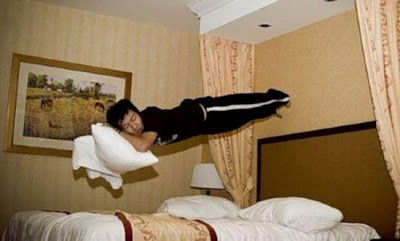 Have you heard of Bed Jumping? 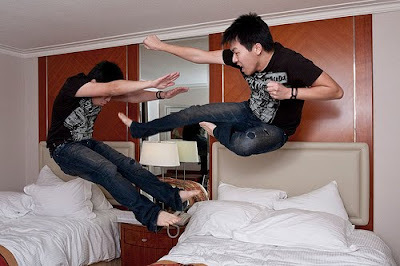 Bed-jumping is a craze in the UK which has seen hundreds of people posting images of themselves jumping on beds! It really looks like fun and you can really get creative with it. This is my all time favourite shot. Really cool. I'd like to make believe I were a superhero too! My second fav shot. Looks witchy to me. haha. You don't need a costume, but you don't have to jump in pajamas either. Let your imagination run wild! First two attempts I put the camera on timer. And I was out of the frame.. damn it! If you have someone to help you snap the picture, then try doing it either on high shutter speed or in multi burst mode (Takes many pics per second). If like me, you're jumping alone in the room like an idiot, haha...then put your camera on video mode, and record the whole jump. Then later just take a frame from the video of yourself mid-jump. It's easy. I did it throught windows movie maker, if you don't know how to do this... I'll do a post on it in a few days. whoops.. facing the wrong way! Haha... I like this one... I was trying to swim in the air, but it looks like I've fallen through a hole. Good jump but face blur... damn it! And finally! The winning shot! 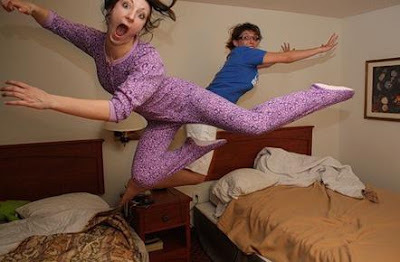 The SONY Bloggie Camera will go to the reader who submits the best Bed Jump Shot! You can jump alone or together with a friend. 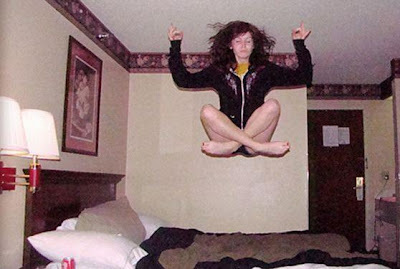 There are no rules.... just jump and make.believe anything! 1. 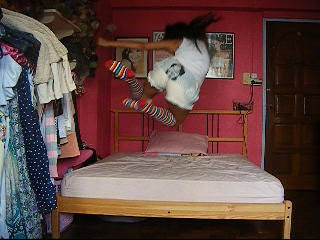 Snap your bed jumping pic. 4. Spread the word by tweeting or Facebooking this phrase " See my make.believe BED JUMP! @hollyjean http://holly--jean.blogspot.com/2010/03/sony.html "
This contest is open to anyone residing in Singapore (or if you're overseas, the prize needs to be delivered to an address in Singapore). Closing date: 27th June (1159hrs). wow.. orangelime.. that was fast! Future entries - Pls link directly to the IMage itself.. otherwise by the end of the 3 wks, it's hard for me to view/track the pics when I am choosing the winner. wow.. u managed to do great jumps. u must be flexible and atheletic. I think I jumped about an inch off the ground, but my hubby leaped! I am on business trip in KL! 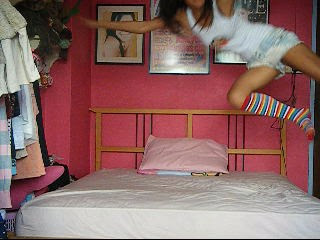 And I bed jump with you HJ! I'm submitting five boring ones (hah!) via Facebook! Thanks for all our entries... Keep them coming! Closing date 27th June. I'm really going to enjoy picking out the winner! Thought a sports one would be fun! 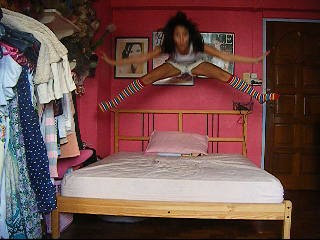 WOw jasmine, tht's one seriously awesome jump! i have uploaded 2 more photos !! I am so in love with JUMPING !! HI i had uploaded two post of my jump shot on my blog..
this entry came via email.. so am uploading on her behalf. Hi, i have uploaded a jumpshot on facebook but i don't know how to put the logo. Here is mine! Hope you like it albeit its a bit blurry..
Taken on a bridge in e middle of e sea @ bintan yesterday juz for this contest!! Hello HJ, just some jumpshots I had recently. I do have the individual versions if you prefer those though. Thanks for organizing this contest! OK Contest is closed. I will look through all entries now.